On 16 December 1966 the United Nations adopted the International Covenant on Economic, Social and Cultural Rights. This was the first global treaty that established legal obligations on states to protect a range of important economic, social, and cultural rights. Forty years later the vast majority of States have ratified this treaty. Despite this history, there remains considerable debate, both within the literature and within the international community generally,about the concept and application of economic, social, and cultural rights. This collection gives a coherent analysis of many of the key issues, both in concept and in application, relevant to economic, social, and cultural rights. 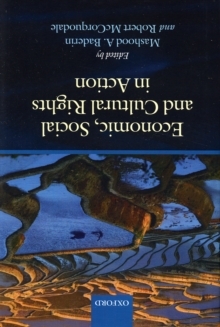 The authors of the chapters, many of whom are leading scholars in their fields with significant experience in practice, examine how the obligations to protect these rights have been applied today, including their application to the Security Council and to non-state actors, as well as in the context of development and dispossession. 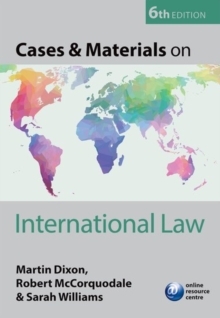 They provide important universal and regional comparative perspectives on the development and implementation of these rights, and consider some of the contemporaryissues relating to these rights, such as trade, health, and social security.